Matthew McConaughey is the ultimate dreamboat for many women, and men – taking them to the stars and back. I for one find him totally uninteresting. I don’t know what it is – he is obviously handsome – but he just doesn’t get my rocket going. 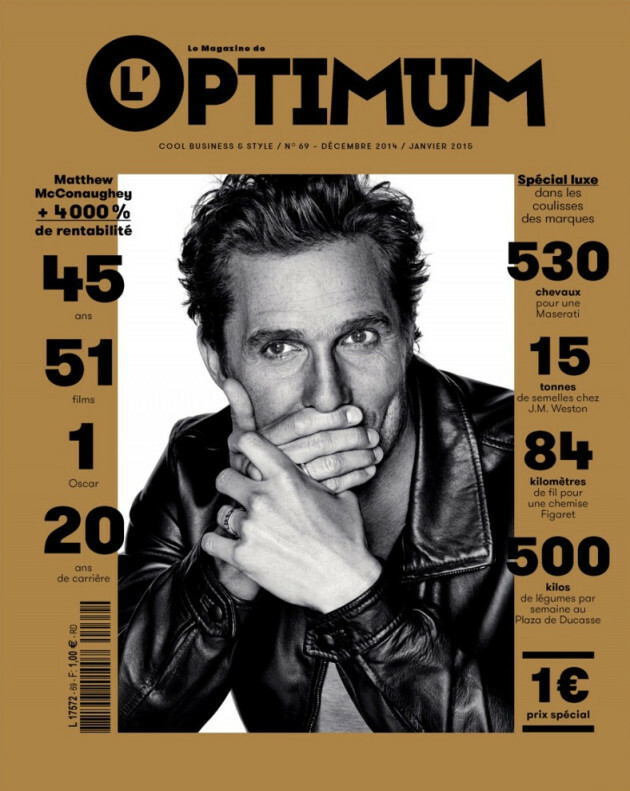 But since I am kind, and it’s days away from another Monday Eye Candy, and I know there are many of you out there who are always in for some McConaughey: here’s the man himself in a black and white spread for French L’Optimum Magazine (December/January issue). Photographed by Eric Ray Davidson. Enjoy.